Learn how deploying drones increases safety, decreases work time, and improves efficiency. Our Matrice 600 Pro hexacopter with zoom and thermal cameras is uniquely suited for rugged inspection work. Drone inspections in the North Sea have delivered dramatic cost and time savings during offshore inspections. Companies in that arena have reported that drones are over eight times faster than rope access while also being nearly 85% cheaper. This cost savings is also a major boon to operational safety as it means less time with workers on rope access. While a drone cannot turn a wrench, we can use them to quickly find, record, and highlight areas needing attention in hard to reach places, from the water level up to the bottom of platforms, in minutes rather than days. Since all the photos are georeferened, future rope access maintenance becomes more streamlined and focused since they may pre-plan the work and know the exact areas that need to be accessed, saving even more money and time. Thermal inspection data is also a reality with our flight systems. Currently we use the FLIR XT 320 resolution thermal sensor, however resolutions up to 640 with radiometric data are also available. Turning again to operations in the North Sea, a recent case study showed that a UAV team could inspection 12 offshore flares in just six days time; a big improvement in inspection time invested with led to an increase in frequency of inspections. It is estimated that these thermal flare stack inspections saved the company nearly $7 million dollars in inspection and flare replacement costs - not including the millions more saved by not having to shut down the platforms while the inspetions were underway. While the case studies described here were completed in the North Sea, we at K2 Dronotics are deploying flight hardware with the exact same capability - and we use the same inspection tracking software packages as well. This means that similar savings could be realized in Alaska today by deploying our flight crews. 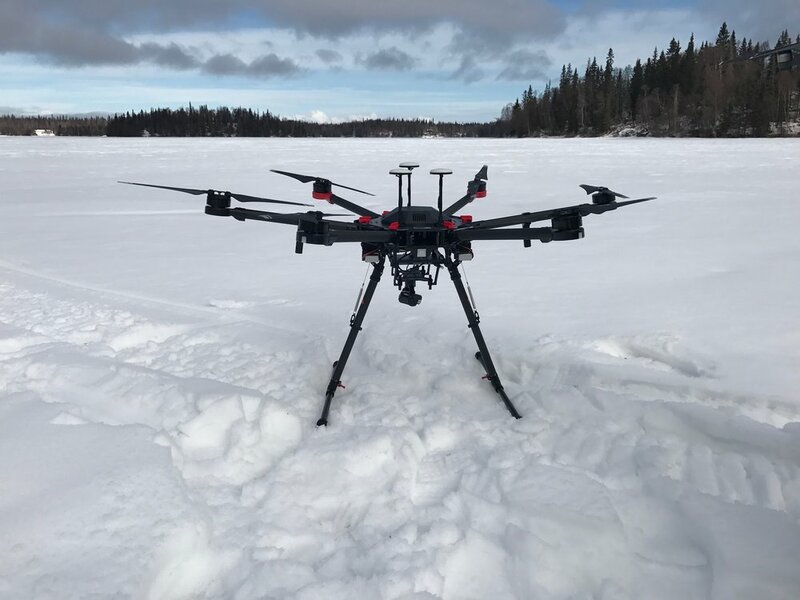 K2 Dronotics strives to deliver cutting edge technology and capability to Alaskan industry to make remote operations safer, faster, and more economical. In order to achieve that goal, we added the brand new Matrice 600 Pro to our fleet at the beginning of 2017. This unmanned system is designed for deployment across industry with advanced safety features at the fore. It offers redundant flight systems and automatic return-to-home which improves the safety of flying near critical assets. The Matrice 600 Pro features three fully redundant GPS and flight control systems, which constantly cross check one another for error. In the event of a system malfunction, the back up systems can take control and ensure the aircraft is piloted home safely. The M600 Pro is designed for industrial inspection. As such, its motors are sealed against dust and water and feature forced cooling. Should one of the six motors or propellers be lost while in flight, the drone is able to automatically stabilize and return to its home point safely. The M600 also runs on six independent flight batteries. Should one of these cells fail for any reason, the drone is able to return to home and land safely preventing damage to your assets and safe retrieval of the flight system. 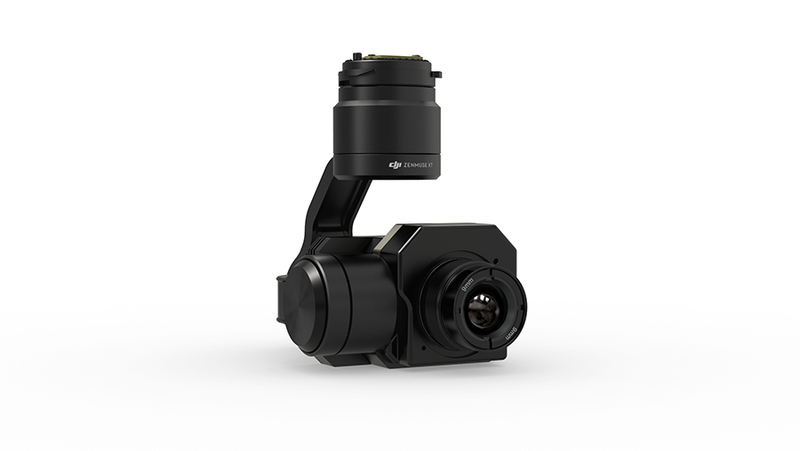 We fly the DJI Z3 optical zoom camera for visual inspection and the FLIR XT for thermal inspection. The Z3 is a 7X zoom camera that is gimbal stabilized for smooth video and image capture in 4K ultra high definition. Its zoom capability allows us to fly further away from your critical assets - increasing flight safety - while still capturing critical details. The DJI FLIR XT is available in 320 and 640 resolution, with the latter adding radiometric capability for pixel by pixel fixed temperature measurement. This sensor is ideal for inspecting flares, exhaust stacks, process equipment, or high power electrical equipment. Both of these camera systems can be hot swapped in real time in the field allowing us to collect multiple data sets per outing. Live stream data to the ground and view in HD on any HDMI capatible monitor. Using picture-in-picture, we can stream two video feeds simultaneously, useful for monitoring the aircraft's position while also viewing thermal or optical gas imagery. Whether you are interested in working with us to deploy drones at your facility, or want to learn how to build your own cutting edge UAV program without the hassle, we can help. Contact us today to get more information on our capabilities, request a quote, or to schedule a demo flight.